It is another extraordinary Blue backdrop illumination LCD show. As the pin assets of Arduino controller is restricted, your venture might be not ready to utilize ordinary LCD shield after associated with a specific amount of sensors or SD card. It is another great Blue backlight LCD display. 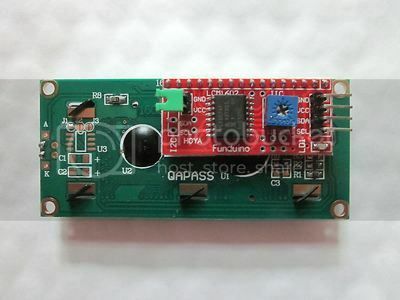 As the pin resources of Arduino controller is limited, your project may be not able to use normal LCD shield after connected with a certain quantity of sensors or SD card. However, with this I2C interface LCD module, you will be able to realize data display via only 2 wires. If you already has I2C devices in your project, this LCD module actually cost no more resources at all. It is fantastic for Arduino based project.